As a part of our series on Violence Against Women, join us for an important gathering to raise awareness of domestic/intimate partner violence and the role of culture and gender-inequity. When: October 17, 2013, Thursday, 6:00-9:00pm. Featuring: Sujata Warrier, Ph.D. – Director of the NYS Office for the Prevention of Domestic Violence; Jennifer DeCarli, Esq., LMSW – Executive Director Mayor’s Office to Combat Domestic Violence; and many more. Click for more details and to RSVP. Seats are limited! Check out the new NYC campaign press release for "That's Abuse" here. 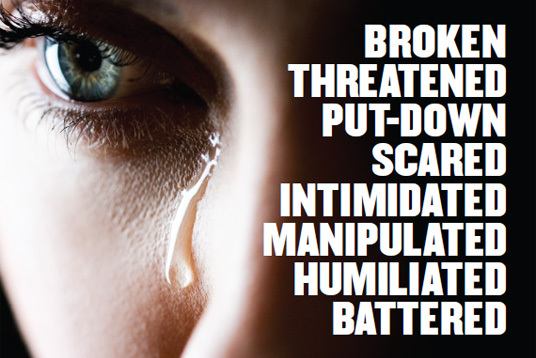 Mayor's Office to Combat Domestic Violence has unveiled a multi-layered public service campaign that will empower victims of intimate partner violence to seek they help they need. "That's Abuse" will appear at bus shelters, subway cars and platforms, grocery store circulars, community-based organizations, businesses throughout key neighborhoods, and common areas at numerous City agencies. Victims of domestic violence, or their friends and family, can call the National Domestic Violence Hotline at 800-799-SAFE (7233), 24 hours a day, anywhere in the U.S. to speak to a counselor and find local support services.